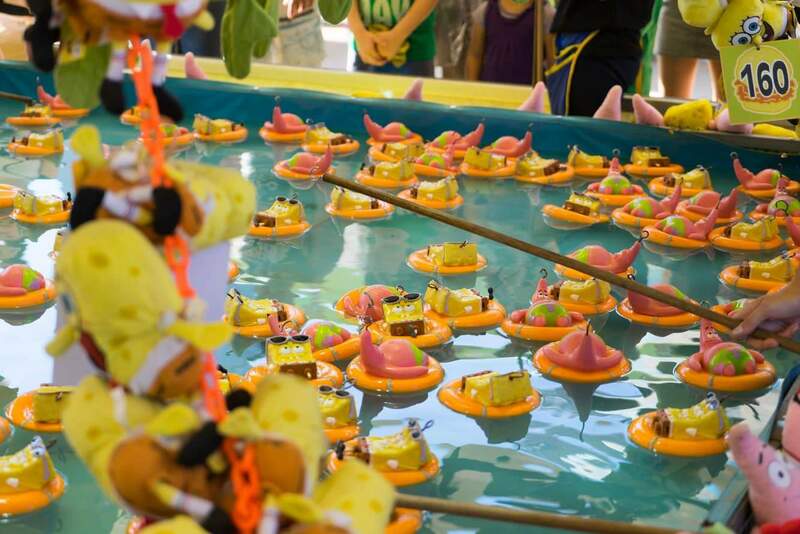 Melbournians come together every year to share, cheer and spread the festive spirit for the Moomba Festival. 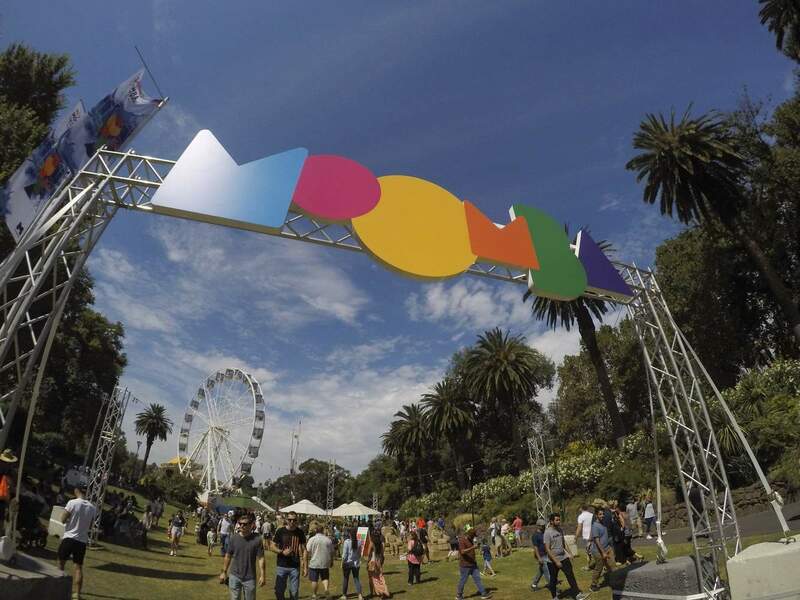 After all, Moomba has been celebrated in Melbourne for over half a century and is held every Labour Day long weekend. 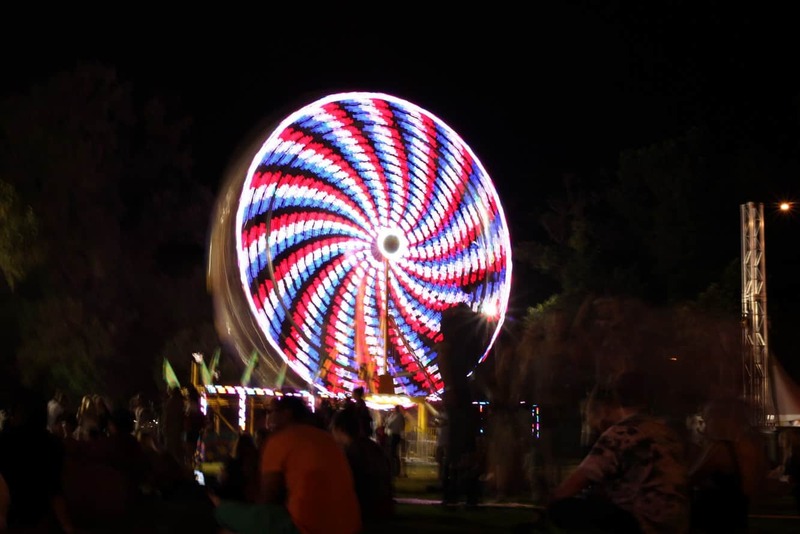 Moomba brings exciting daily programs, family events, rides, entertainment and activities for visitors to experience. It is, therefore, no wonder, that Moomba is widely loved by all. 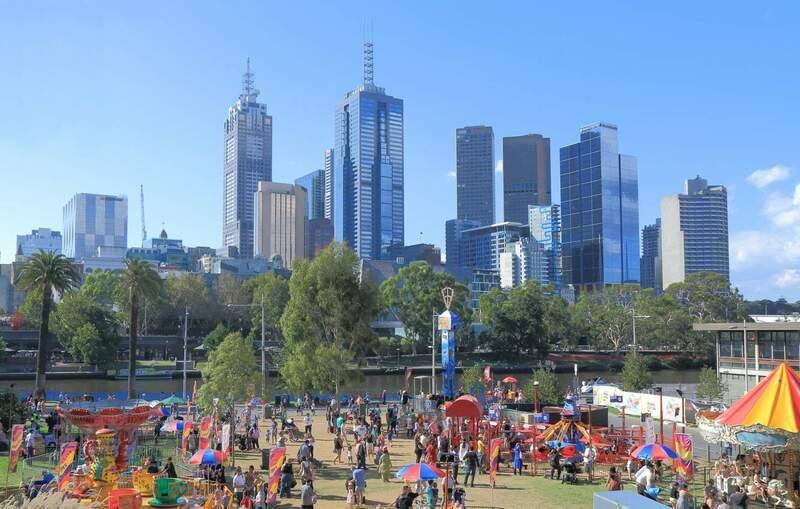 The Moomba festival is celebrated over four days, with locals, tourists and visitors joining in on the festivities on the sun-soaked banks of the Yarra River to celebrate the event. The festival also features a parade that runs towards the city on St Kilda Road and is attended by thousands of families, as they witness community groups who come each year to participate. 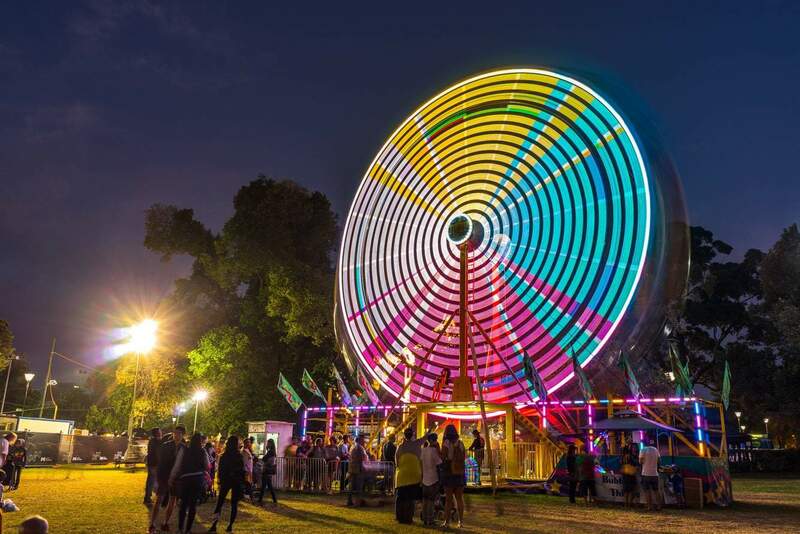 The Moomba Festival features plenty of carnival rides, water sports, fireworks and special fun activities for kids. The nightly fireworks are a major drawcard of the event, as well as the well-loved Birdman Rally. The festival arena stays full every night as popular bands and singers perform to entertain the crowds. 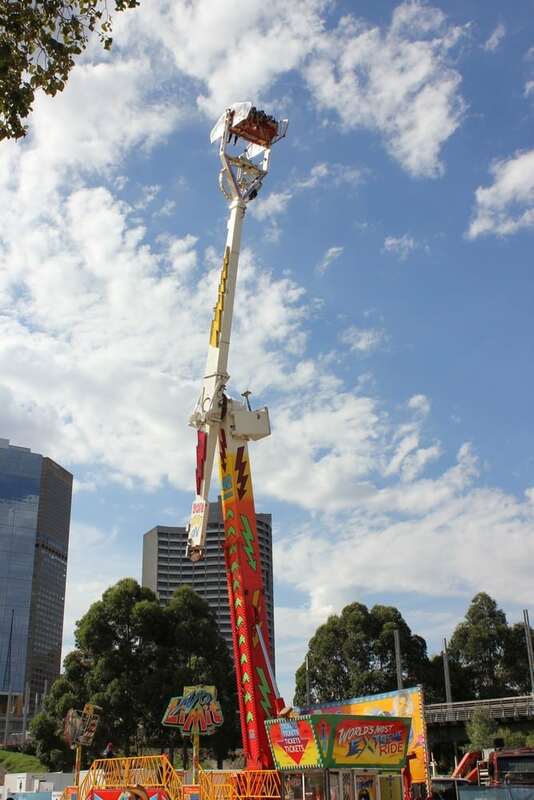 Moomba-goers also love the carnival rides that are positioned along the Yarra river. 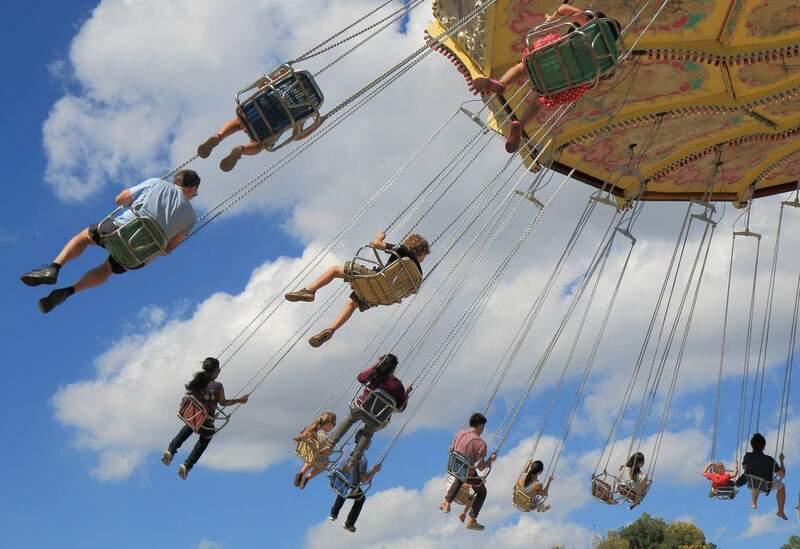 These include many smaller rides for the kids, as well as thrilling rides for teenagers and adults. Don’t forget to catch the water skiing competitions that run daily along the Yarra river. Local watersports operators come together to make the event enjoyable by offering a variety of water-based events for visitors to enjoy. There will also be a big screen showing some of your favourite films for FREE, every night from 6.30pm. Birdman Rally: Sunday 8th of March at 11.30am. Along the Yarra River off Birrarung Marr. Moomba Parade: Monday 9th of March at 10.45am. Starting at the Shrine of Remembrance and finishing at Linlithgow Ave. There will be plenty of tasty food and drinks for sale at Moomba with food trucks selling burgers, fries, icecreams, doughnuts and everything in between. Parking will be difficult in the city, so you are best to take a train and get off at Flinders Street Station. 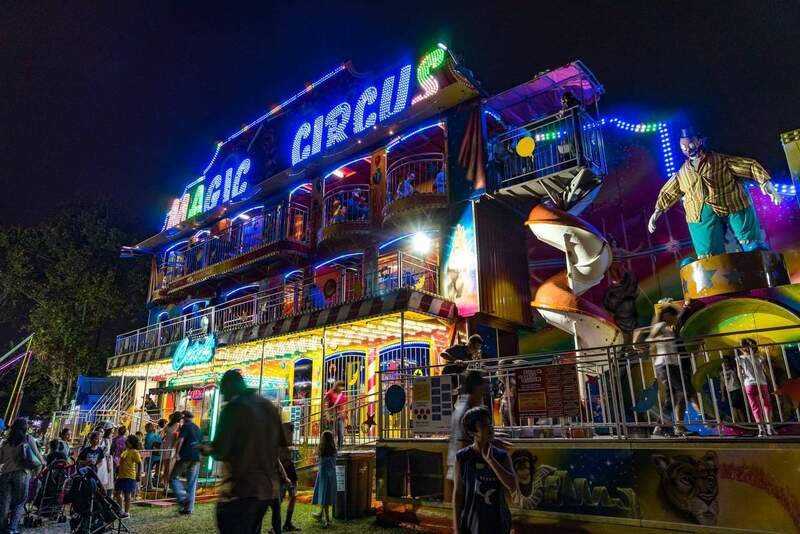 The Moomba Festival is located just across the road. There will be a number of road closures around the festival including Boathouse Drive which will be closed at Alexandra Avenue from midnight Tuesday to midnight Monday. Hello, please can you tell me when the waterskiing will be on. Moomba is 10 months away, so a program hasn’t yet been released. Please check back with us in early 2019 and I will update our page once the organisers release further details. No, unfortunately there aren’t showbags at Moomba. 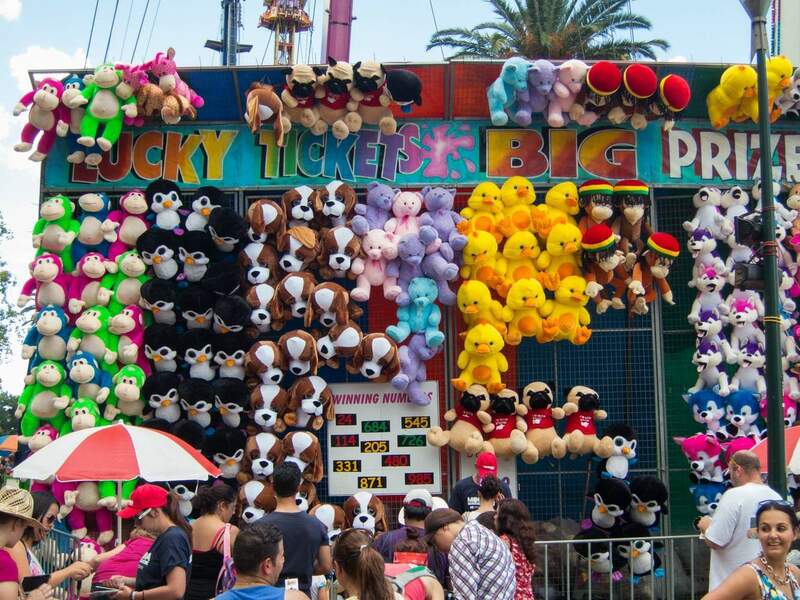 However there are plenty of games and rides for kids to enjoy. I am going to Concert at Rod Laver Sunday night, I come in City Road and continue down Alexandra Avenue, will this be open? St Kilda Road (Princes Bridge) will be closed to vehicles only in both directions between Flinders Street and Linlithgow Avenue beween 9pm to 11pm Saturday, Sunday and Monday. I have to take 3 elderlies to the MSO concert on Saturday at Hamer Hall. I usually go down Alexandra Ave, turn left at Linlithgow Ave, to the back of the Arts Centre. Will I still be able to drive through? or do I need to think of a different travel route. What is the route for the parade on Monday? The Moomba Parade route will begin at Birdwood Avenue (near the Shrine) then make its way through Kings Domain parkland and conclude on Linlithgow Avenue near Queen Victoria Gardens (near the Yarra). Have a wonderful time at Moomba in 2018! Are there any bands playing at Moomba? If so, is there a timetable somewhere? You can check out the 2018 Program Schedule here. Will Batman Avenue be blocked off on Monday 13/3/17 at approximately 11.30 am? No, it will remain open. Most of the action will centre around St. Kilda Road and Linlithgow Ave. Check out the images on our Moomba page here which has a list of the planned road closures for the entire festival. Hi, where do I go to to see all the rides for this year? I am unable to find a comprehensive list of all the rides for 2017. 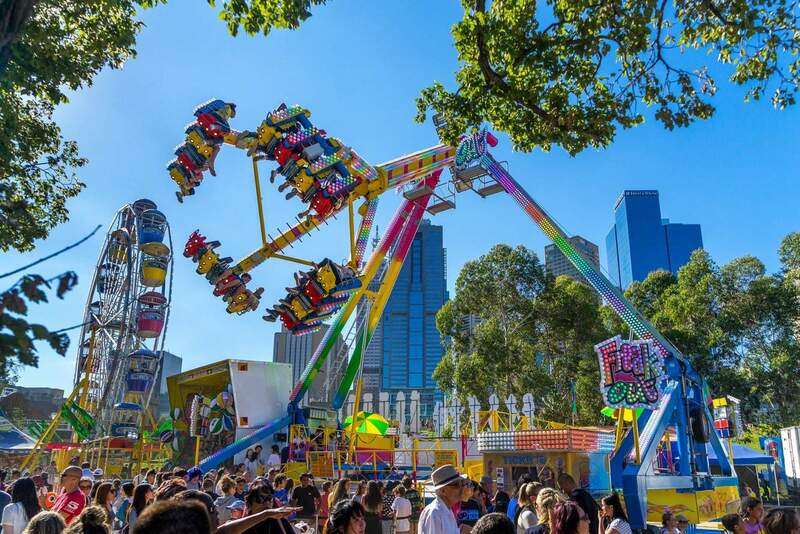 There is some info on the Moomba Festival Facebook Page about individual rides. 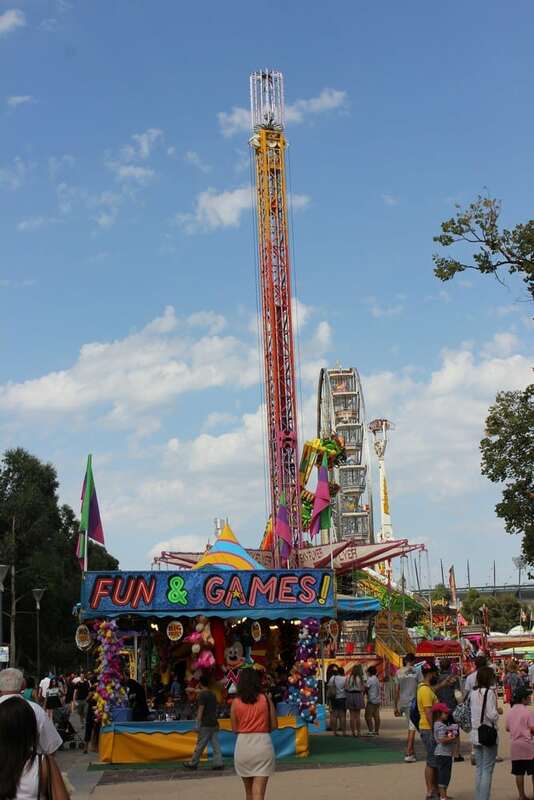 In previous years, the rides have included a Giant Swing, Rock Star, Freak Out and heaps of others. Here is a link to a Youtube video I located which shows rides from previous years (watch on mute, it has bad techno music)! I would like to enter the Bird Man rally for 2017. Can you please advise how I can enter? 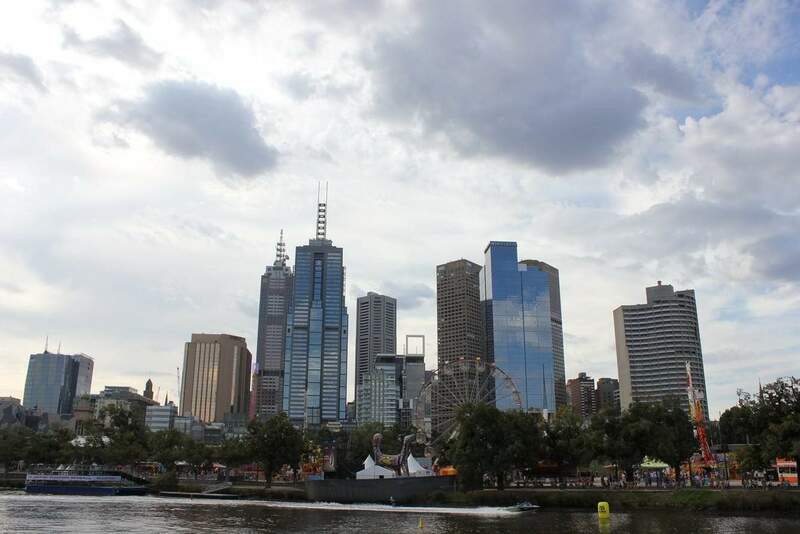 According to the organisers of Moomba (the City of Melbourne), entries for the Birdman Rally have closed. You can find out more information here. With the rides, can people go on more than once? You must pay per ride. So you can go on each ride more than once, but you will have to pay each time. Hi what thrill ride are there this year and how much are they? The rides for 2017 are yet to be announced, however in previous years have included a Giant Swing, Rock Star, Freak Out and heaps of others. Here is a link to a Youtube video I located which shows rides from previous years (watch on mute, it has bad techno music)! As for the standard prices for rides, in previous years they have been around $5 for children and $10 per adult, per ride. This varies depending on the ride but gives you an idea of how much cash you may need on the day! Check back with us and I will update the page once the rides for 2017 are announced. What is the cost of the fireworks? The fireworks are absolutely FREE to attend and enjoy. Hi, I was wondering when 2017 entries open for the birdman rally? Thank you. I can’t find any information online about when the 2017 entries open. Around what price are the rides? Hi Emily, the rides range between $5-$10 each. Are the rides open everyday? Yes, the rides will be running right up until Monday evening. The best place to park would be in the Federation Square parking lot as this will get you as close as can be without having to make your little one walk too far. However I suspect that it may be very busy over the weekend, so if you unable to get a spot there, there are a few private parking facilities close by. 1. City Square Parking, 202/208 Flinders Ln, open 24 hrs, $12 on weekends. 2. Wilson Parking, 172-192 Flinders St, open 24 hrs, $10 on weekends. Alternatively, you could always find a free spot along St. Kilda Road as there are a number of 4hr parks, and catch a tram up to Flinders Street. Hi is there fire works every night? What time? Fireworks will be held on Saturday, Sunday and Monday evenings between 9.30pm -9.45pm. Best viewed at Birrarung Marr along the Yarra River. Hi, I was wondering if you can by family passes for the rides. If not could you please give me some info on the pricing of rides please. The age group is between 4-40yrs. Thankyou. 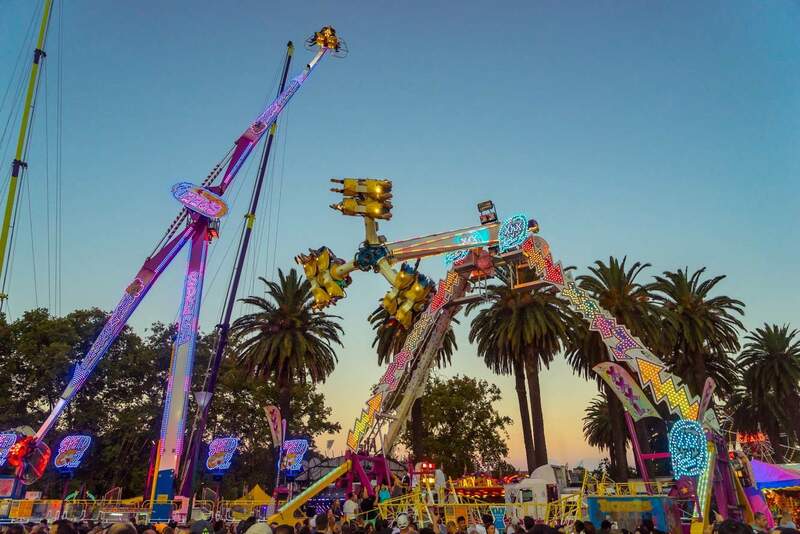 Moomba is offering a “Friday Fun Pass” for 3 hours of unlimited rides from 6pm to 9pm on Friday 11 March. You can pre-purchase these online now for $35, or on the day they will be $45. Your unlimited rides wristband can be used on all rides in both Alexandra Gardens & Birrarung Marr. 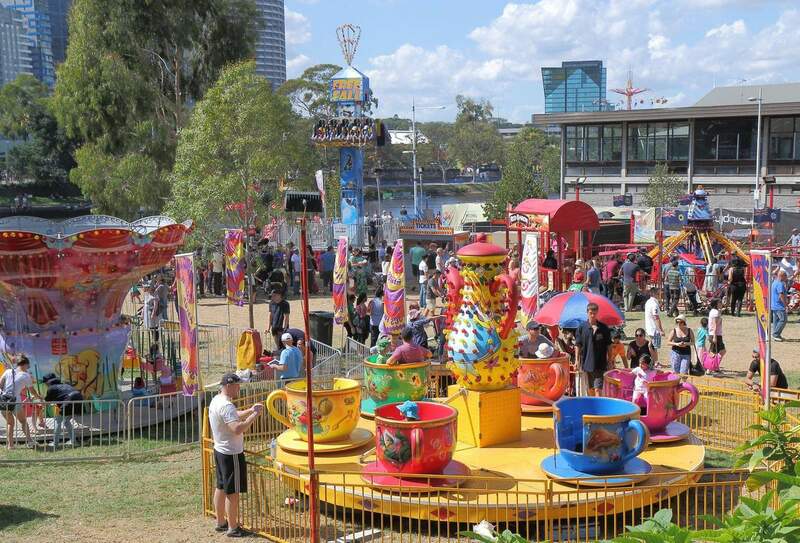 Have a great time at the Moomba Festival!